People shift the bodies of the victims of a bomb blast at a mortuary in Quetta, Pakistan. On Friday, however, a faction of the Taliban had claimed responsibility for the attack that targeted the Hazara community, adding that it had collaborated with the Lashkar-e-Jhangvi militant outfit. 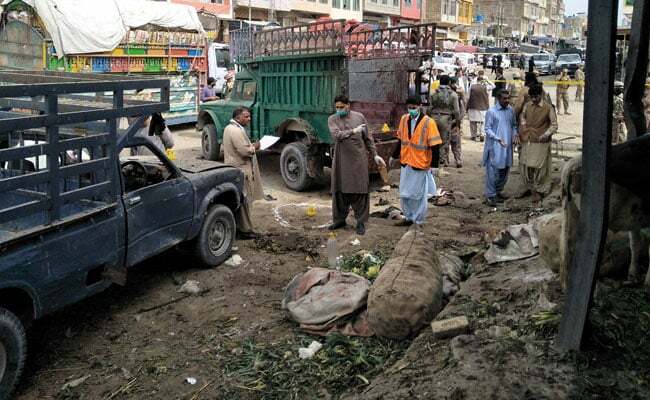 In the first attack, a suicide bomber blew himself in the Hazarganj fruits and vegetable market in provincial capital Quetta killing around 21 people and injuring 60 others, mostly Hazaras. Local TV footage showed several damaged shops and at least one paramilitary vehicle. It also called for the government of Prime Minister Imran Khan to give them better protection. UN Secretary-General Antonio Guterres expressed shock at the Quetta attack and strongly condemned "this cowardly act", UN spokesman Stephane Dujarric said. "The United Nations expresses its full solidarity with the Government of Pakistan in its fight against terrorism and violent extremism", Guterres said. Islamic State claimed responsibility for a suicide blast in Pakistan's Quetta city yesterday that killed 20 people and left 48 more injured. A separatist insurgency is also on in the restive province with separatist groups of Baloch nationalists demanding autonomy and a greater share in the province's resources.